A first reaction to this virtuosic confection is to delight in its cascade of images and the sheer craziness of a roller-coaster sequence of events that all seem so plausible. César Aira, an Argentine writer of fiction and literary criticism, is the obvious heir to Jorge Luis Borges. Along with a daring sense of fun, Aira has a playful imagination and the ability to spin a yarn as intricate as a spider’s web. As he runs wildly amok, Aira captures childhood’s treasures – the reality of the fable and the delirium of invention – in this hilariously funny book. 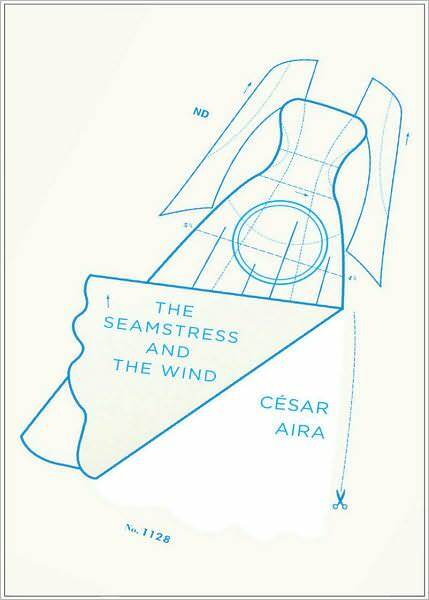 The Seamstress and the Wind is a deliciously laugh-out-loud-funny novel. A seamstress who is sewing a wedding dress for the pregnant local art teacher fears that her son, while playing in a big semitruck, has been accidentally kidnapped and driven off to Patagonia. Completely unhinged, she calls a local taxi to follow the semi in hot pursuit. When her husband finds out what’s happened, he takes off after wife and child. They race not only to the end of the world, but to adventures in desire – where the wild Southern wind falls in love with the seamstress, and a monster child takes up with the truck driver. Interspersed are Aira’s musings about memory and childhood, and his hometown of Coronel Pringles, with a compelling view of the hard lot of this working-class town, situated not far from Buenos Aires. It works as a piece of art whose fresh, gorgeous images carry rich meanings about the nature of transformation. But it also works as a story that makes you miss your subway stop.